Welcome to this month Fantastical Food Fight, hosted by Sarah at A Fantastical Sharing of Recipes! This month’s theme is honey! There are many directions to take with this amazing ingredient! I love it! Ultimately, I was reminded of a honey caramel ice cream topping I had once and was determined to try to replicate it! 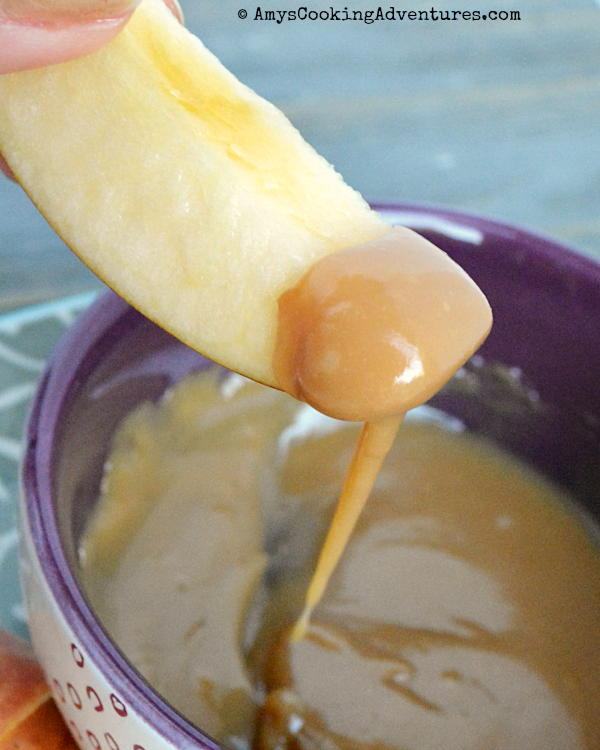 When I found a recipe for a super easy 4-ingredient caramel sauce, I knew I had to try it! The caramel sauce wasn’t quite what I had in mind when I set out – it is even better! It has an intense toffee flavor that has me licking spoonfuls of the stuff! It is so decadent! It is phenomenal drizzled on ice cream or apple slices! On an unrelated note, did you know that the first meaning of the word decadent is debauched, corrupt or immoral? Whoa, right? Then the second meaning is all like, oh, and also it means luxurious self-indulgent, don’t worry about all that debauchery in the first meaning. I also didn’t use decadent because of it! Ha! Don’t miss everyone else’s honey submissions below the recipe! Place the butter in a medium saucepan over medium-low heat to melt. Stir in the honey and brown sugar and turn heat to medium-high. Bring the mixture to a full boil. Boil for 2 minutes, stirring constantly. Pour in the sweetened condensed milk. Keep the mixture on the heat and keep stirring until completely combined. Remove from heat and stir in a dash of salt. Cool to room temperature, then pour into lidded containers and refrigerate until ready to use. Place the butter in a medium saucepan over medium-low heat to melt. Stir in the honey and brown sugar and turn heat to medium-high. Bring the mixture to a full boil. Boil for 2 minutes, stirring constantly. Pour in the sweetened condensed milk. Keep the mixture on the heat and keep stirring until completely combined.Remove from heat and stir in a dash of salt.Cool to room temperature, then pour into lidded containers and refrigerate until ready to use. Mmmmm.....or drizzled over an apple or pear bundt cake!! This sauce looks terrific -- super idea for apple season, too! 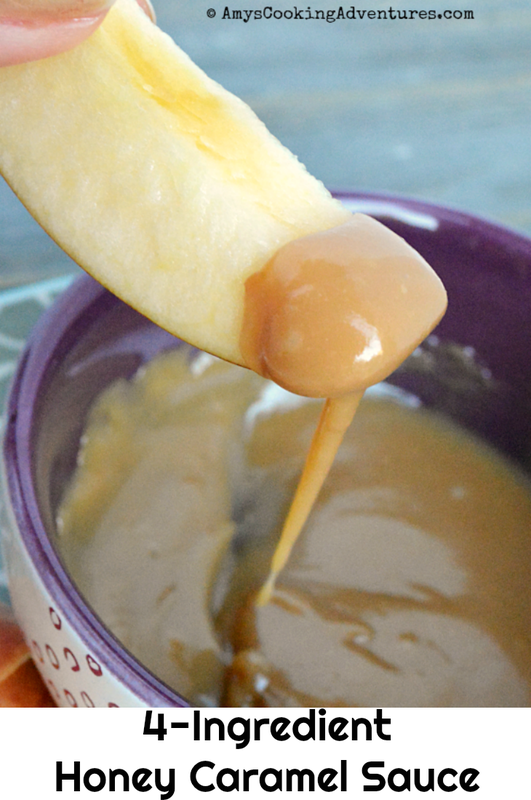 You can't go wrong with a quick caramel sauce! This sounds amazing. I love that it has a toffee flavor. I've never thought of using honey when making caramel. I'll need to remedy that. This is the perfect post for this time of year!! I love apple season! I love the addition of honey! I never thought to do that with my caramel sauce. That is definitely a dangerously decadent sauce ;) Perfect for fall! 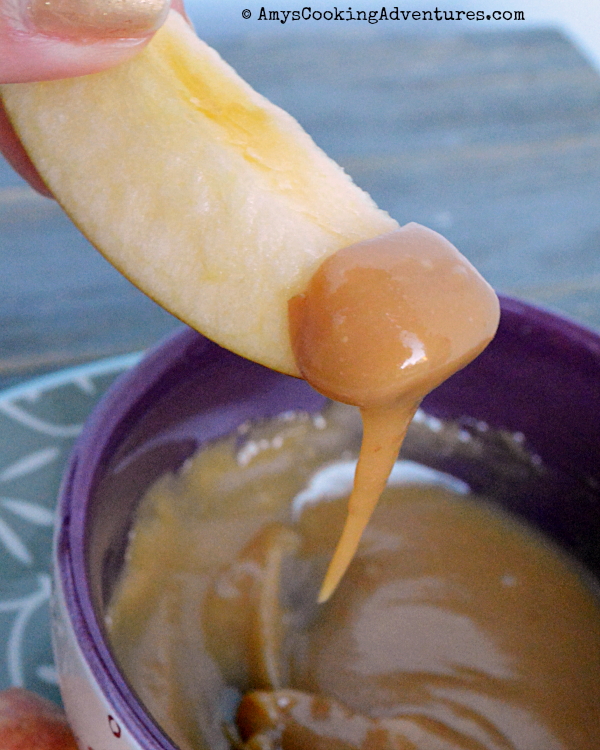 I love that honey is the dimension for this caramel sauce... decadent! What a great idea! 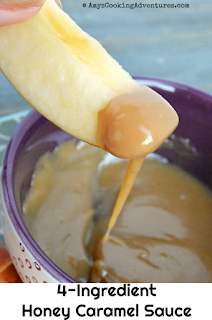 I love honey caramel sauce as I find it is easier than normal caramel and keeps its consistency. Would love to make this to have with some crisp apples.